and...speaking of school, only 15 more days to go. This is such a great page, Mary Ann! Love the bit of mustache paper in there. :) I'm counting the days too...only 10 more to go. 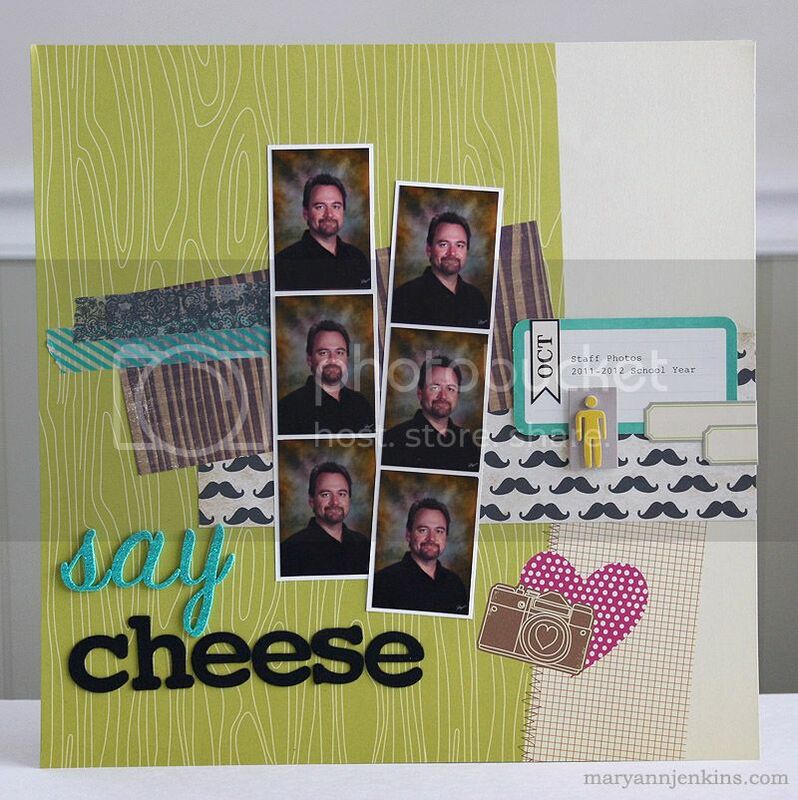 I love that you scrap them too :) I'm also loving the mustache paper, GREAT layout! Great use of the Amy Tan paper, and I love the fun photo strips!! Love this Mary Ann - so original! Love your layout - especially the little heart area at an angle! I know, my daughter and daughter-in-law are teachers, I did the same thing with her school pics :) Very fun!